Now that tax season is upon us, and the tax deadline is approaching (April 15th for the US and April 30th for Canada), hackers are dusting off their tax scams to trick consumers. Social engineering tools, like phishing, are becoming more and more sophisticated – especially with the ever-changing technology. These fraudulent emails (and phone calls too) appear legitimate and take advantage of those who are often too busy or are simply unprepared to identify a scam. If you receive an email with a sense of urgency requesting something must be done “NOW”, requesting a money transfer, poor grammar or misspelled words, or an illegitimate domain, they more than likely will be a phishing email. 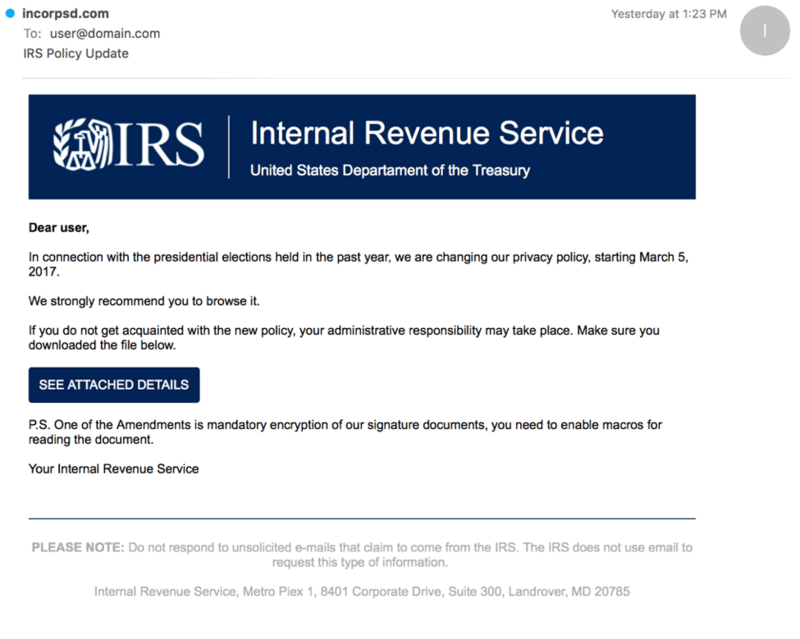 With tax season here, tax-related themed emails may frequent more in your email inbox. Another example of a phishing scam to watch out for during Tax Season is a Robocall. The hacker will call you claiming to be an IRS official and demand payment and or mentioning that you have not filed taxes yet. Check the sender of the email as well as the "to" and "cc" fields. Improper spellings and grammar are a big giveaway! Suspicious emails from trusted sources can happen. If your friend/colleague sends a strange message, their account may have been attacked. Learn more about Eze Managed Phishing & Training: simulated, controlled emails to test your employees' security awareness.